When you’re looking to find ways to extend the battery life of your iPad, one of the easiest ways to chip away at battery drain is to examine background activity–process that are going on behind the scenes and aren’t forward facing. By managing the background activity you will be better prepared to understand how your battery life is adversely affected by what’s going on behind the scenes. 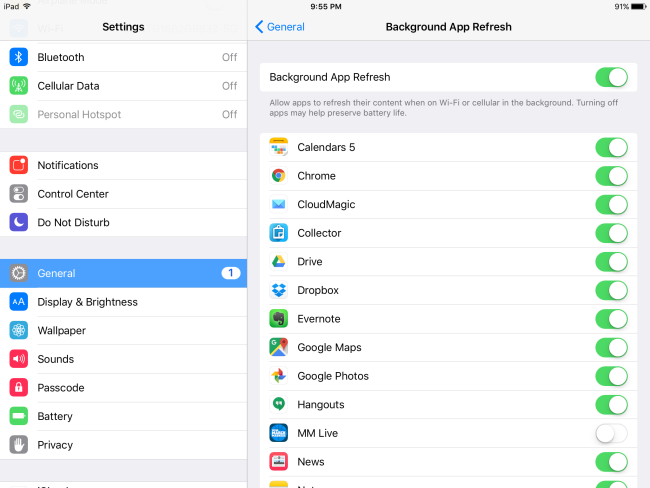 Every time you launch an app on your iPad, you begin the process of draining the battery. In addition, many apps continue to run in the background. Luckily, iOS has a process where you can manage this background activity, and selectively reduce the amount each app is allowed to utilize. No matter how small the activity might seem to be, a reduction is a reduction. In turn the background activity will ultimately decline as well. So where do you begin to access this information you can manage the background activity on your iPad? First launch the Settings App on your iPad. Even though turning off select apps can make a measured difference in the amount of battery your iPad will consume, there are some drawbacks associated with this choice. Apps that retrieve information ahead of time make it easier to present information without having to process it o the fly. With background app refresh turned off, the data/information you seek will still have to download, which will take additional time. Furthermore, you can configuring location services on your iPad to keep apps from using your location in the background. The merits of performing this action can be wide reaching. Most iOS users are unaware of the number of System Services that routinely use your location for what may seen like simple tasks. These include keeping your time-zone set accurately no matter where you may be, Wi-Fi networking, and even for call network searches. 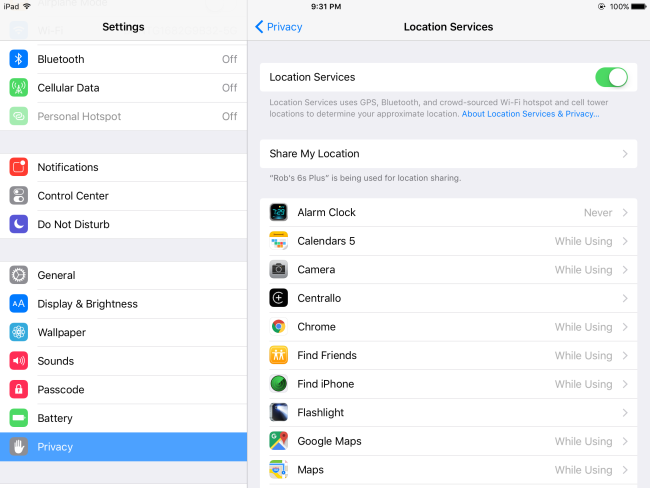 Location Services are a little more layered version of background processes, and therefore offer several levels to restrict when an app can use your location. These range in never, while using the app, and always. You can imagine how important it can be to dig into your privacy settings to determine which apps can share your location. So next time you feel like your iPad battery life isn’t performing the way you are used to, remember you have many different opportunities to mange these services, and tweak them to fit your changing needs.